With decades of expertise in car dealership design and build, we have built and refurbished many car showroom for companies such as Ford, BMW, Aston Martin, Bentley, Renault, Audi, Lamborghini, Land Rover and Jaguar. On client request, we are also now installing concessions for other brands in larger stores. We often work alongside the architects and commercial/branding designers but can also offer advice on design, finishes and equipment if requested. Whatever the arrangement, we ensure a seamless, high-quality and on-time project completion. Due to the large volume of flooring installations completed by Kiwi Design, we now have a dedicated flooring department. Whether for car showrooms, offices, workshops, corridors, boardrooms, kitchens, bathrooms or retail spaces, we can suggest or provide solutions to meet your design and function requirements. We can supply a huge variety of carpets, tiles, Luxury Vinyl Tiles, commercial vinyl flooring from the leading manufacturers to suit any budget. Whatever the project size, we can offer unrivaled service and exceptional installation quality. Creating a workplace that looks and feels fantastic, that people want to be a part of, can increase staff retention, encouraging new employment, increase productivity and raise moral. In short, good commercial interior design can revolutionise a business, transform its culture and improve the way it works. 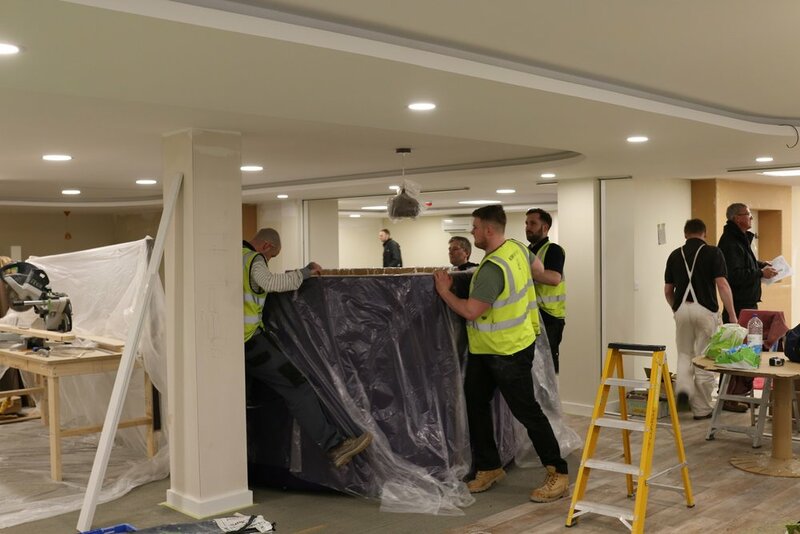 As one the South West's leading office fit-out and refurbishment companies, we use our experience, passion and skill to understand your needs and deliver a cost effective, design-led, bespoke service. Completed fit-outs include Schuh Footwear (Manchester, Canary Wharf, White City, Hull, Oxford Street), JD Sports (Poole, Bournemouth, Sothuampton), Tomicca (Manchester, Bristol) and also Confetti & Lace (Manchester), which was recently visited during an episode of "The Only Way is Essex".